The 50th annual Polar Games started today at the CGC. Grade 6 youth from around the Yukon are taking part. The late Carole Keddy, a physical education teacher at F.H. Secondary School started the Games in 1969. Dave Stockdale who was involved with the games in the beginning, spoke briefly and was presented with a special T-shirt. 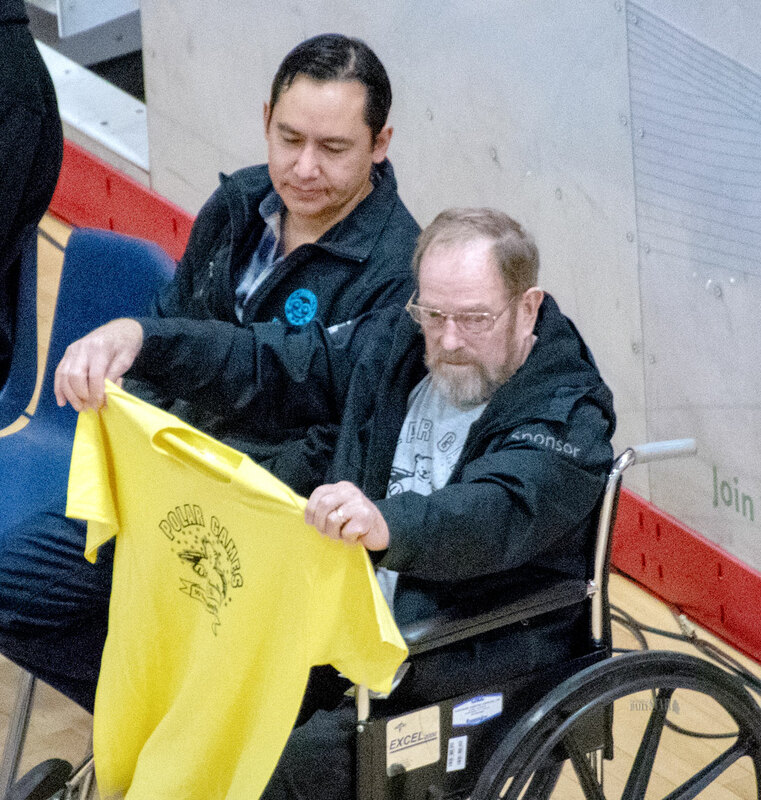 Kwanlin Dün First Nation Sean Smith is beside Stockdale at the opening ceremony. So happy these games continue on! Mr. Stockdale was a good teacher! The kind that inspires! Awesome - Thank you Dave Stockdale in making our childhood memories so memorable, would have been nice if they could have make a blanket for him with a piece of every shirt he ordered.